Asherman’s syndrome is caused by damage to the uterus that causes the formation of adhesions (scar tissue). The extent of damage can vary and there are different grades of Asherman’s syndrome severity. The adhesion formation can affect the cervix, uterine lining, the deeper layers of the uterus or, in some cases, the opening of the fallopian tubes. The scar tissue may be thin or thick. In some cases the front and back of the uterus may be adhered together, the opening to the fallopian tubes scarred shut or the cervix covered over with scar tissue. Severe Asherman’s may lead to complete blockage of menstrual blood (endometrial lining) from being shed naturally each menses. This may lead to the formation of endometriosis, another painful and debilitating fertility issue. The number one cause of Asherman’s syndrome is the D&C (dilation and curettage) procedure. According to the International Asherman’s Association, 90% of Asherman’s cases are due to pregnancy related D&C. Women who have had a D&C 2-4 weeks post-delivery, due to retained placental remnants have up to a 25% risk of developing Asherman’s. D&C performed for missed miscarriage have a 30.9% chance of developing Asherman’s, whereas women who have had a D&C due to an incomplete miscarriage only have a 6.4% chance of developing Asherman’s. Women who have had more than 2 D&C’s have an increased chance of developing Asherman’s by 32%. A study, published in Human Reproduction, evaluated 50 women ages 19-44, through hysteroscopy, to determine the presence of uterine adhesions after a required second D&C due to either remaining placental remnants following delivery, missed miscarriage or medical abortion. Of the 50 women, 20 (40%) had developed intrauterine adhesions. Of that 40%, 75% had developed grade II-IV, grade IV being the most severe. Plan ahead for the possibility of miscarriage. If you are trying to conceive, consider the fact that early miscarriage is quite common. This does not mean go overboard and worry, or have it on your mind constantly. This means educate yourself now on ways to help prevent scar tissue and adhesion formation. If you were to experience a miscarriage, would you want a D&C, or a natural miscarriage? It may be best to let your body do the work of naturally cleansing the pregnancy loss, rather than have a D&C. Most women’s bodies are perfectly capable of miscarrying naturally on their own. D&C runs the risk of causing Asherman’s syndrome and should only be performed when medically necessary. Your doctor may suggest the drug Misoprostol for missed or incomplete miscarriage, or retained placenta after childbirth. It may lower the risk of developing Asherman’s because Misoprostol is a medication that causes the uterus to slough off the endometrium on its own. If your doctor suggests D&C procedure for a missed miscarriage, or incomplete miscarriage, consider natural therapies that will greatly help to prevent scar tissue and adhesion formation. Depending on the extent of adhesion formation within the uterus, a doctor may recommend surgery to remove the scar tissue. This may potentially lead to more adhesion formation, but for women who have severe damage to their reproductive organs, it may be an effective option. Doctor’s cut, or use resectoscopes or lasers, to remove scar tissue patches and adhesions from inside of the uterine cavity. Some doctors prescribe estrogen hormone replacement to prevent new adhesion formation. This is meant to regrow the endometrium. A balloon is placed in the uterine cavity as a splint to help the uterus retain its shape. This splint is often used in combination with estrogen therapy. Many patients are asked to come in weekly for hysteroscopy to remove new adhesion growth. All of this is very invasive and while it may remove scar tissue that is present, it may also be causing more damage. There is also an increased risk of infection with these types of procedures. If it is determined a surgical procedure is needed to remove adhesion formation from the uterus, natural therapies may be a complimentary approach to healing. Below are some wonderful complimentary healing methods, not only for prevention, but healing of Asherman’s as well. Systemic Enzyme Therapy using systemic enzymes helps the body to break-down and prevent scar tissue formation. If you know that you are going for a D&C procedure, consider having a systemic enzyme blend on hand for post-procedure healing. Beginning systemic enzymes after bleeding has stopped, after the D&C, may help to prevent scar tissue from forming. This may help prevent Asherman’s syndrome. The systemic enzyme blend works as a biological response modifier, working with the body’s own immune defense system to moderate inflammatory response. They support cleansing of the tissues, promoting better circulation. They break down and remove “fibrin”, the make-up of prolonged inflammation and scar tissue/adhesion formation. They break down the proteins in the blood that cause inflammation; this facilitates their removal via the lymphatic and circulatory system. Reduction in inflammation, increase in proper blood formation, increase in proper circulation, which hinders scar tissue and adhesion formation, while reducing pain. Systemic Enzyme Therapy using systemic enzymes are most effective when used for 2 months after D&C to help prevent Asherman’s. The sooner they are begun after the procedure the more effective they will be. Systemic enzyme blends must be taken on an empty stomach 45 minutes to 1 hour prior to eating or 1-2 hours after consuming a meal to be effective. Drink with at least 8oz of water. It is better to take your dosage spread out in the day rather than all at once. Do not use during heavy bleeding times. Discontinue use 2 weeks prior to any type of surgical procedure. In one study, the herb Shatavari (Aspargus racemosus) was shown to increase phagocytic activity of macrophages, in turn reducing intraperitoneal adhesions. These are adhesions within the abdomen specifically. Macrophages have been shown to play a role in adhesion development. (Journal of Postgraduate Medicine, the official publication of the Staff Society of Seth G. S. Medical College and K. E. M. Hospital, Mumbai, India) But this is just one study; if Shatavari can increase phagocytic activity of the macrophages there is hope for it in reducing adhesions in the entire body. This may be great news for women suffering from adhesion damage causing fertility issues. Ensuring that you have a strong, healthy uterus prior to any surgical procedure involving the uterus, may help to prevent Asherman’s! Self Fertility Massage is one of the easiest and most cost-effective ways to improve uterine health, break-up and prevent adhesion formation, and promote healing of the uterus. Plus, it can be done from the comfort and privacy of your own home. Not only can you do both Self Fertility Massage and Castor Oil packs prior to any surgical procedure to improve uterine health, you can do it after those procedures to prevent adhesion formation. If you have already been diagnosed with Asherman’s, I highly suggest this non-invasive healing therapy! How does Self Fertility Massage Prevent and Heal Asherman’s Syndrome? Do not do Self Fertility Massage for at least 2-3 weeks after D&C or other abdominal procedure. Do not do this massage during bleeding after miscarriage or menses. The uterus may be sensitive and sore after any kind of surgical procedure; start off slowly and gently with this type of massage. Listen to your body, do not press too hard; you should not press so hard it is painful. A Castor Oil Pack is a cloth soaked in castor oil, which is placed on the skin to enhance circulation, and can promote healing of the tissues and organs underneath the skin. Edgar Cayce, the “father of holistic medicine”, suggested external application of castor oil packs to stimulate the organs of the abdomen (liver, gall ladder and colon) and as treatment for adhesions in the abdomen. Castor Oil therapy is complementary to Self Fertility Massage. Castor oil packs are best used 2-3 times a week. A good healing plan with these packs are 3 days on, 3 days off, for several months. If you have had a surgical procedure, do not begin this until you feel your uterus is healed. Do not use on a C-section incision that is not fully healed. Talk to your doctor about the risk of infection due to surgical procedures performed after miscarriage. If you develop an infection you risk more scar tissue and adhesion formation, as well as increased risk of infertility due to blocked fallopian tubes. Some herbs that help to aid the body in fighting infection and boosting immunity for proper immune response to the D&C would be Echinacea and Goldenseal. An Echinacea/Goldenseal liquid extract taken every 3 hours for the first two days after surgery may greatly help to reduce infection. This extract blend may be continued 3 times a day for a week as continued infection prevention. Women’s Best Friend combines herbs shown to help fight infection and balance hormones after miscarriage loss. This herbal blend is extremely antibiotic, antimicrobial, and anti-inflammatory. It works to heal any infection in the reproductive system, while also reducing pain and inflammation from foreign tissue growth. Reduction in inflammation may help to prevent scar tissue and adhesions. Some herbs in this blend are tonifying for the uterus, aiding in strengthening the uterine muscles and tissues. We do not recommend combining this herbal blend with medications prescribed by your doctor. I’ve just had a hysteroscopy yesterday due to endometrial polypoid hyperplasia. The surgery went smoothly and I only have minor bleeding. I am now back to work but taking it easy with the walking and lifting of heavy things. I am also taking antibiotics for 10 days. Can I do a castor oil pack after I’m done with the antibiotics? I plan to do it for 3-4 days. I am glad to hear things are going well! Castor Oil packs would be fine if bleeding has completely stopped. Many use them 3-4 days a week with a day between each session. Thank you Elizabeth! Bleeding has now gone down to brown spotting but will wait until it has completely stopped for a few days before I do the castor oil pack. Hello!My son was born in 2014, a natural birth. I had a difficult time pushing out the afterbirth, which didn’t concern me at the time, but 5 weeks later I had to go in for a D&C for retained placenta. I had an IUD put in later & had that taken out about 2.5 years ago. Within the last 2 years I have had 3 miscarriages. My periods are seemingly normal (never missed one and bleed around 3 days on a 25ish day cycle), now I’m starting to feel concerned that they are lighter than they should be. I have no problem getting pregnant, we have only tried 4 times and each time I have success. My doctor wants to do a hysteroscopy and cut away any tissue, whereas I want her to just look so I can know. It seems valid to investigate any fibrin formation and prepare for removal (and recovery) should you end up choosing that. Curious indeed… It seems that if enough scar tissue grew, perhaps it could be the cause. It would be best to ask your doctor this question to try to learn for sure or what could be the cause. We also don’t truly know after several pregnancies, if the uterus goes back to its “normal”, pre-pregnancy shape. I venture a guess not exactly. Pregnancy at 43 is possible. It may take more time and be a bit more challenging, but it still is possible for many women. Thank you very much for the follow-up and answer to my question. Hello! I have 32 years and I have a son of 4.6 years. He was born by c section. We have been trying – for 6 months now – to conceive a second child with no luck (I know when I ovulate because I use ovulation kit and I chek my cervix and mucus and temperature). At a previous gyn control I was told that I have niche – cesarian section scar defect – but it does not give me postmenstrual bleeding nor pelvic pain, but could this be the reason why I`m not pregnant? The first time – with my son I became pregnant in first month of trying. I mention that my period is regular, but I could observe it is less in quantity with some clots. What natural remedy should I take for this scar defect? Thank you! Should the niche interfere with implantation of an embryo, it could be a cause of why conception isn’t happening. A niche can impact cervical mucus and sperm quality, as well as inhibit sperm travel through the uterus and embryo implantation. Improving Uterine Health for Fertility, Conception and Implantation. I am recently diagnosed with Asherman’s following the Mirena. The scarring is covering my cervix and my insurance will not cover surgery. I am basically hearing that I am completely unable to carry my own child. IVF is not even an option for me according to the specialist (not sure I’d go that route regardless). My husband and I are devastated. Is there any evidence of women getting pregnant using these techniques to treat Asherman’s? They sound mostly preventative. I’m sorry to hear this! The natural therapies are as much healing as preventative. They would definitely be worth learning more about and considering given what I know. The hard part about surgery is that it can cause more scar tissue to grow. I wonder if practitioners of Mercier Therapy or Clear Passages could offer some ideas for you, hope or be able to help as well. They may be worth contacting. It is fine to consider both Self Fertility Massage and Castor Oil Packs. Do learn more about Systemic Enzyme Therapy as well. I’m going to have a D&C in 3 days, and this is my 3 rd one in the past 2 years. I didn’t know about your website until today ( otherwise I’d let it pass out naturally). I read all your articles and that Wobenzym N might help to prevent scarring tissue. Can you please let me know if I should take it right after the D&C or hold off till 2 weeks after a D&C? (As you may know, a person would experience some bleeding for a week after a D&C procedure). Please respond as soon as you can. I’m sorry to hear this! Wobenzym N can be used post procedure when bleeding has stopped. We share many more tips in our guide D&C (Dilation and Curettage): Natural Preparation and Recovery in case you haven’t seen that already. My best for a easy procedure and swift healing! Curious – I’m assuming all of this is less effective in breaking down scar tissue if you’re 18 months past the c-section surgery (or other surgery) that created the scar tissue in the first place? Seems like the PT massage is still helpful, but less so than done earlier in the healing process? Thanks! While it perhaps is more helpful to begin natural therapies to hopefully prevent fibrin growth early on, we know that not everyone is able to do this for a variety of reasons or even thinks to do this. The natural therapies we share of here can be considered no matter when the event that lead to fibrin formation happened. I suffer from PCOS and after trying to go all-natural off birth control for the first time in six years I developed a five centimeter hemorrhagic cyst on my right ovary that had to be surgically removed. To prevent any other cysts from developing I was put immediately back on birth control. That was a little over a month ago and I am still experiencing discomfort on the right ovary. I desperately want off birth control but am terrified of developing another cyst. Are castor oil packs and enzymes safe to use while on birth control? My hope is to get into a routine before I try to get off the pill again. I’m sorry to hear all of this! Castor Oil Therapy could be considered. Although systemic enzymes could be as well, it is always best to consult your healthcare provider when wanting to combine natural therapies with a prescription medication. They may alter how the medication is working or support the body in a way that the medication dose needs to be adjusted (something only a doctor can do) or it is no longer needed. Dietary and lifestyle changes are key as well. 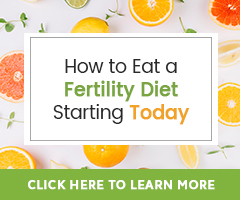 If you have not yet seen our guide that explains this, it is… How to Reduce the Damaging Effects of PCOS on Fertility Through Diet and Herbs. We also offer this service, Fertility Consultations, that seems like it would be a really good fit for you. If you are interested, let me know and I will get you all the information about the program. Hello, almost a year and a half ago I have lost identical twins at 23 weeks, cause is unclear either twin to twin syndrome or hydrops, i had a natural birth however due to placenta retaining had to have 2 D&C following. Ever since my period is 2-3 days long and very light, cycle is long average 40 days (never had this prior to twins always regular cycle and heavy, average 32 days), have been trying to conceive with no luck, have PCOS. This week I have had hysteroscopy to remove scarring. Can i take Wobenzym N 200 with Women’s best friend? Thank you! Wobenzym N can be taken with Fertilica Women’s Best Friend. This is a wonderful plan as you heal, but both are not to be taken while bleeding post procedure. Consider also learning about Fertility Massage and Castor Oil Therapy both known to support healthy circulation to the uterus (all reproductive organs) for optimal health. In regards to PCOS, our How to Reduce the Damaging Effects of PCOS on Fertility Through Diet and Herbs is a wonderful resource or how to naturally support the body in achieving horomonal balance when dealing with PCOS. If it might be most helpful to have help in creating a personalized natural fertility program specific to your individual needs, we offer this too. Consider learning more about a Fertility Consultation. Hi, I am to get an operation for polyp removal at Primary IVF Sydney. The nurses & practice manager are so awful. They have stuffed up on 3 occasions and do not care. I was meant to have the operation a few days ago, but this time I was told by the nurse ‘you only just told us’, I actually was given this date by the Practice Manager 3 wks before who later lies to protect herself claiming she told me I had to come into see the specials to have an approval form signed for the operation, this was NOT the case, she was so nasty. Please advise me how to get the embryo to implant, I have had many failed transfers with great embryos. I am sorry this has been your experience! You are entitled to and deserve to work with practitioners who offer you better care. It may be time to consider switching practitioners/practices if you can. Many women live with polyps, also called uteirne fibroids, without signs/symptoms, and many do not. They may inhibit conception and proper implantation of a fetus. Have you been able to learn why implantation has not been successful? If a result of the polyp or the hormonal imbalance that is known to cause them, it may be best to seek the help of a healthcare provider who is able to support you. This is because sometimes surgery is the best first plan of attack after which, thankfully, there are herbs, nutritional supplements and natural therapies to support the body in maintaining a healthy environment within the uterus by promoting hormonal balance and supporting the body’s natural ability to reduce occurrences of occasional growths. The following article may be helpful as well… 3 Things Women with Uterine Fibroids Should Be Doing Daily. Hello. I have strong suspicions that I have Asherman’s following a D&C in December of 2014, but do not have a diagnosis yet. I am going to a specialist in a month. I do have a little bleeding during my periods. My question is, is it ok to do these natural alternatives just before my period should start? If you had to pick just one of these suggestions, which one would you try while waiting for an appointment with a specialist. I’m thinking of trying the castor oil packs. Thanks for any help. Two cost-effective, easy ways to get started on a natural uterine health program would be Self Fertility Massage and Castor Oil Therapy. Each could be considered a starting point. This being said, the other suggestions in this article are proven effective as well. Both Self Fertility Massage and Castor Oil Therapy can be started prior to menstruation if not actively trying to conceive and then paused when menstruation begins. I hope that your appointment goes well! Hi – I had a D&C in August after finding out my baby had a severe neural tube defect (using a donor egg). I had another hysteroscopy and D&C in November to remove remaining products of conception. Today I’ve just found out that I may have scar tissue (unable to bleed after Provera challenge and diffuse changes in my endometrium on ultrasound) and will have another hysteroscopy next week. I’m so devastated now and looking at this on the web isn’t helping. Please let me know what my chances are of carrying a baby to term. I am so sorry for all that you have been through! I honestly am not able quantify the chances of successfully carrying a baby to term. I can ensure you that we suggest the herbs, nutritional supplements and natural therapies we do in support of uterine health because of scientific research and historical use proving their efficacy. I hope the information in this article is helpful as you heal and move forward. Uterine synechiae. Please tell me the herbal treatment/remedies for this Uterine synechiae. Or must surgery be done? The section in this article titled Natural Prevention and Healing of Asherman’s Syndrome shares information about the herbal and nutritional supplement and natural therapies to consider. Our fertility herbalist is very happy to work one on one with you if you would rather have a personalized program created just for you. She offers this through a Fertility Consultation. I hope you have time to revisit the guidance here or to consider a Fertility Consultation. Hi! I had retained placenta after losing my twins at 6 months. They left placenta inside for 4 months post delivery which was undetected. I had to have 2 procedures to remove it as it was so hard and embedded in the womb, the last operation was end of Nov 2014. So 2 months now and I still have not had a period, have been told my lining is thin (5mm) and it looks like there is some scarring. I’ve only just found your site and see most of the suggestions are around pre-surgery treatments. Can you suggest a combination I should be doing now and how often now that I am 2 months past the last surgery, or is it too late for me? I’m feeling devastated. My sincere apologies for what you have been through! I can imagine how devastated you feel. Do you have a support group, people you can reach out to for support when you need it? I do hope so! The Natural Prevention and Healing of Asherman’s Syndrome guidance offered in this article can certainly be considered even though you are 2 months post your last procedure. Also consider referring to our article Thin Lining of the Uterus: Build the Uterine Lining Naturally. We also offer one on one guidance through our Fertility Consultation program. This process allows you to receive personalized guidance from our fertility herbalist who will create a Natural Fertility Program for your fertility health needs. How do I reverse adhesions when the uterus is GONE. I Keloid badly. I am sorry you are faced with this challenge! It is my understanding that Keloid scars are external or near the surface of the skin. In any event, consider learning more about Systemic Enzyme Therapy. Dalene, I had ablation a year and a half ago. Since I have had a very low flow cycle. Since an internal sonogram, my doc told me that my uterus is thick again and the pain is caused by scar tissue. Doc recommends hysterectomy. Can using castor oil break up the scar tissue successfully? Have you ever come across anyone with this situation. Thanks! I have worked with a handful of women with Asherman’s syndrome as this is a pretty rare condition. At-home natural therapies can be very effective, but they also require you to be consistent with them, especially the physical therapies – castor oil packs and Self Fertility Massage. If you have a severe case, you may also want to consider specialized work with Clear Passage Physical Therapy or a Maya Abdominal massage therapist. This may require travel and out-of-pocket expense. We have a great success story from a woman with Asherman’s that you can read here: http://natural-fertility-info.com/new-success-stories Her name is Tawnia, it is in a pink colored box at the bottom of the first page (right now). We may have other success stories, I am just not sure right now! I am also currently working with a woman who has this, very severe, the walls of her uterus were adhered together, after a year of working with some of the therapies mentioned here, she has greatly improved her uterine health and her doctor gave her the go ahead to try to conceive. Her uterus isn’t 100% free of scar tissue, but considering the circumstances, she has made a huge improvement. I do think there is always hope, so don’t give up! Give yourself a time frame in which you are willing to commit to helpful natural therapies and if you still are in pain and nothing is working, consider discussing a hysterectomy with your doctor then and only then. Hysterectomy is a VERY LAST ditch option, in my opinion. I have severe Asherman’s and cervical stenosis, which endometriosis on the way. I’m having a my furst of possibly two hysteroscopies in two weeks with a balloon and inserted tube in the cervix afterwards. I’ll be put on IV antibiotics during surgery and estrogen for three weeks. I’d like to know if echinacea or the woman’s best friend would be effective for me. Are there off side effects from these? Any suggestions for reductions infection and future scar tissue growth are welcome. Thank you! 1. In a heavy soup pot place oil, turn to medium heat, put in carrots and garlic, saute until almost tender. 2. Add broth, tamari, and mushrooms, bring to a boil, once boiling reduce heat to low so that soup is simmering, simmer until mushrooms are almost done. 3. Add green onion, Bok Choy, black pepper and bamboo shoots, cook for a few minutes, add miso. Stir until miso is well blended. Add additional sliced shallot for garnish if desired. Two weeks post surgery consider Systemic Enzyme Therapy, Self Fertility Massage and Castor Oil Packs and possibly Women’s Best Friend to help deter new formation of excessive tissue build-up. May your surgery be successful! I am considering having a robotic assisted myomectomy, and I am hearing two different things regarding conception after myomectomy. More than half the women that have a myomectomy fail to conceive afterwards. I was wondering if scar tissue could be one of the main reasons, and also, if I do the enzyme therapy immediately after I have the procedure, will it increase my chances of having a successful pregnancy? I have a bottle of neprinol in my medicine cabinet, but I also do castor oil packs a couple of nights a week. Would the combination of these two be beneficial and create a healthy uterine environment for pregnancy? To tell you the truth, I just don’t know about the statistics on conception after myomectomy removal. I do think scar tissue is a main culprit, including the receptivity of the uterine tissues. The uterine muscles are all very different, layer after layer of different muscle patterns/structure, and any growths within the muscles and then surgical removal is a set-up for scar tissue formation. If you decide to go for the myomectomy: To prepare for surgery, yes the Neprinol and Castor Oil Packs would be a start. Include Self Fertility Massage daily, if you can, that will keep the muscles and uterine tissues healthy, flexible and strong. Discontinue enzyme therapy 2 weeks prior to surgery, castor oil packs and Self Fertility Massage the day before surgery. Do not begin enzyme therapy until at least a week and a half to two weeks after surgery, as this has a slight blood thinning effect. Do not begin Castor Oil packs or Self Fertility Massage until around 3 weeks to a month post surgery, or until you feel ready. Go slow! May your decision come with confidence and clarity! Hi Heithir, thanks for this very educative article. is it possible that i have Asherman’s Syndrome?. I had a laparoscopy 2 yrs ago to remove broad adhesions in my appendical area, and it was confirmed following procedures that my tubes were blocked with hydrosalpingx, and ovary burried behind uterus. really sad result! can i benefit from the fertility massage & Womens’ best friend. Trying TTC for 10 yrs. please advise. Thanks. I am sorry to hear of your difficult diagnosis! The Fertility Massage may be very beneficial for you. I am not sure Women’s Best Friend is the best choice for healing the scar tissues, but rather aiding the health of the reproductive organs, mainly the uterus. Wobenzym N, Castor Oil packs and Fertility Massage may all be good choices as well. May you go on to heal!